As a value-added service to our brethren, items that every keeper of the Law (Torah) should have: menorahs, tzit tzits, shofars, etc. that are not readily available most anywhere are featured below which are not sold by our Church but via third-party outside vendors who are also Sabbath keepers. 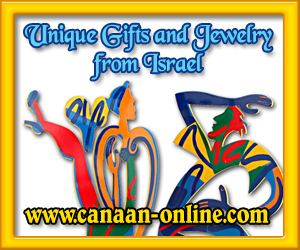 Purchase only those items that are Torah-based that the Most High commanded us to have and to keep. God Elohim commanded a 7 branch Menorah - not a 9 branch one. Hanukkah is not among Elohim's 7 Feasts and the star of David is not Biblical. We encourage brethren to not make purchases during Sabbath from Friday sunset to Saturday sunset. Click on the item(s) of interest to be linked to the vendors website.